Less than a month is left before Christmas and now it’s time when people get ready for celebrating this holiday in warm family ambience. 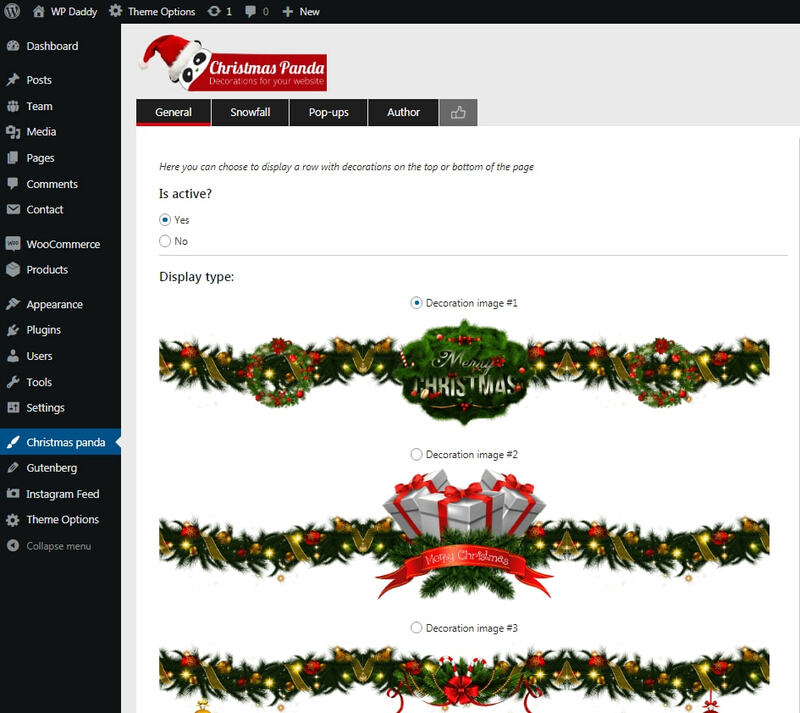 If you run a blog or a business website, you can create festive ambience on your web-page, and this is quite easy. 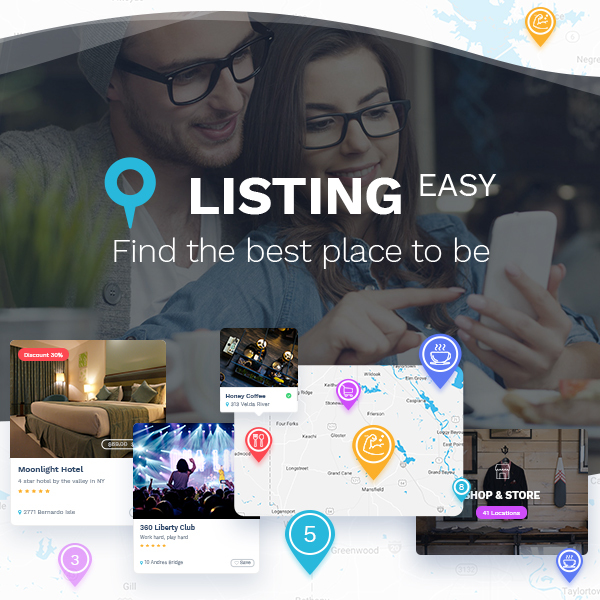 Our team has picked out a great bunch of holiday WP plugins you can install on your WordPress website and create stunning Christmas and winter effects to bring joy and festive mood to your target users and customers. We’ve tested those plugins by ourselves to show you how they work in practice. So please see and enjoy! 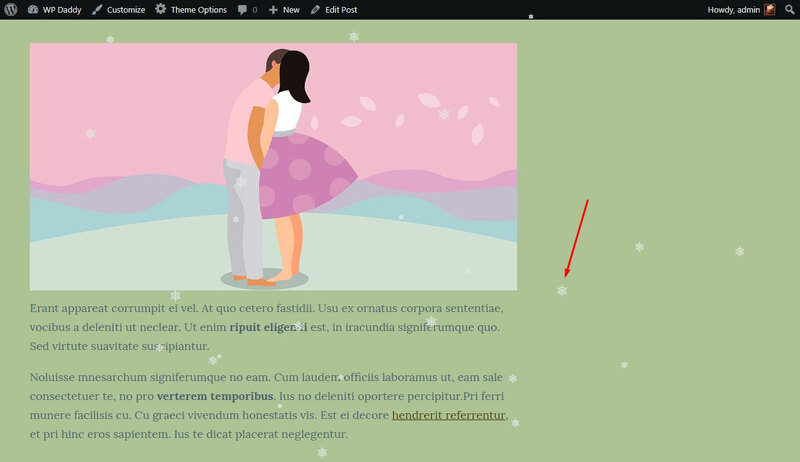 This WordPress solution allows to create snow-flakes falling from the header of your web-page once a user enters it. The settings of this plugin allow to manage different options to change the look of the snow flakes, set their speed and number, etc. 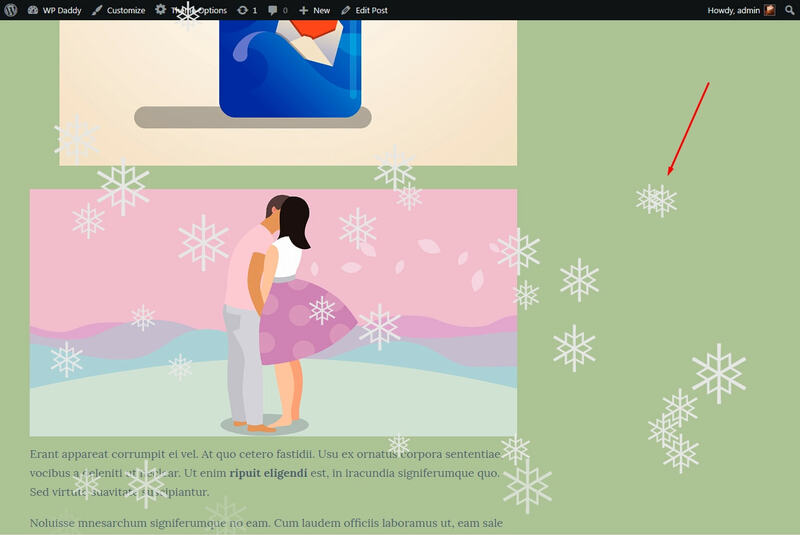 By the way, it has got Pro options like showing the flakes on definite pages and hide them on the homepage, etc. 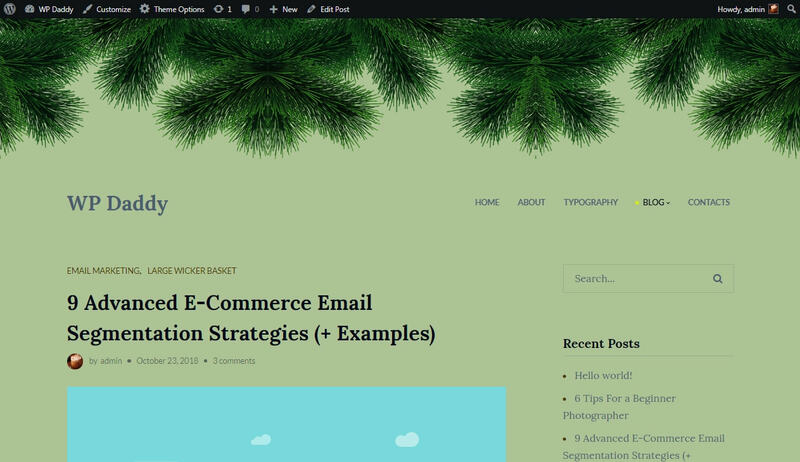 This plugin for WordPress allows to decorate your website’s header with the row of fir tree branches or mistletoe wreath with toys. There are different rows available to choose from. In addition, you can either make a row sticky or not. 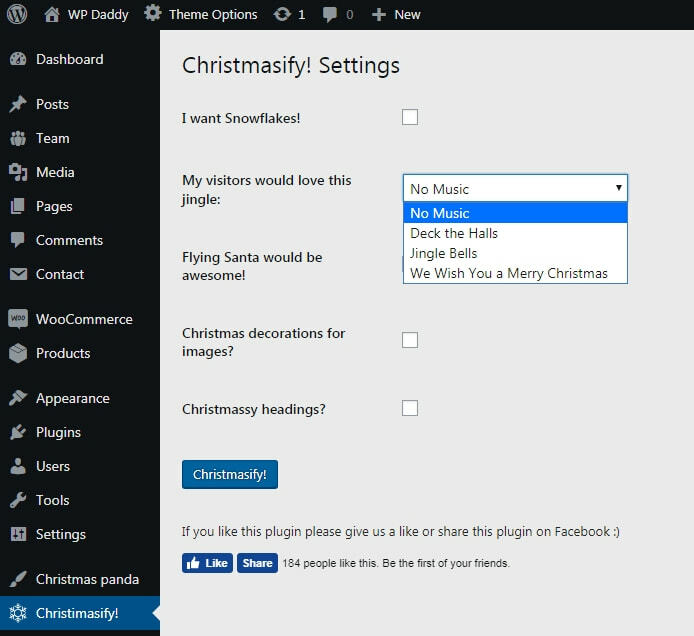 And this cool solution allows to launch flying Santa, decorate images on your page, create snow effects and even select Christmas melody to turn on and listen on your site. As you see even the typography is changed, and this font looks really festive. 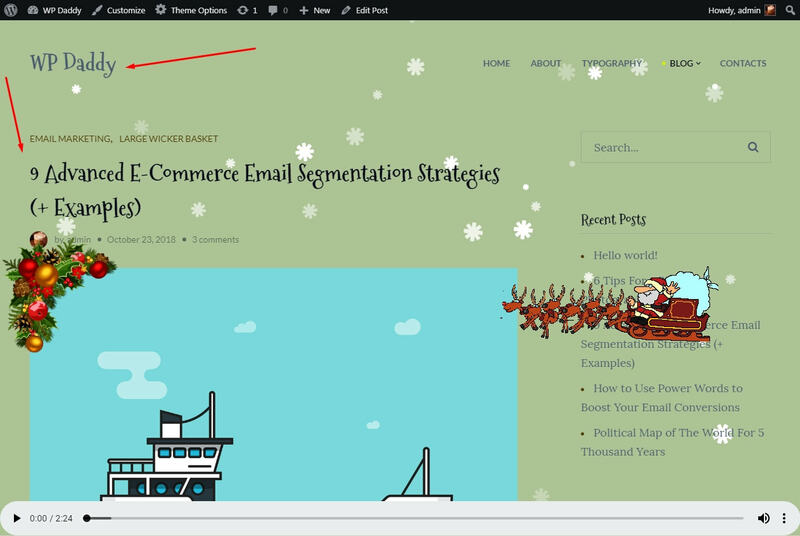 This cool WordPress plugin allows to set a holiday widget which is going to be automatically updates every year and show time left before Christmas in the form of inscription on the Santa’s beard. 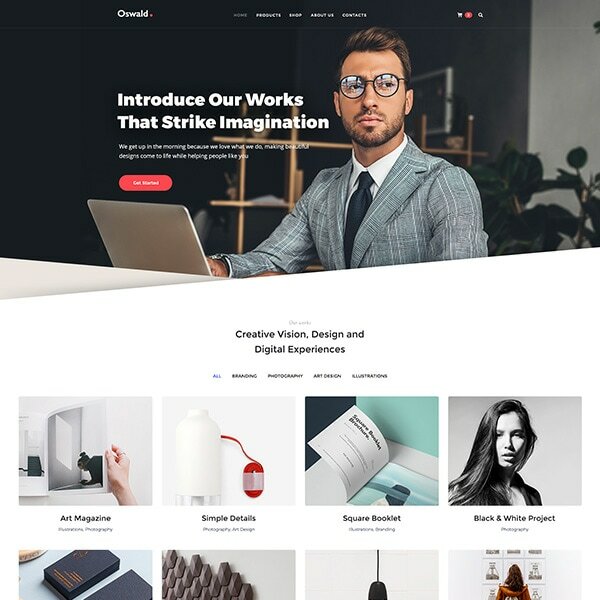 Just install the plugin and go to Appearance -> Widgets to place the required widget into the sidebar of your web-page. 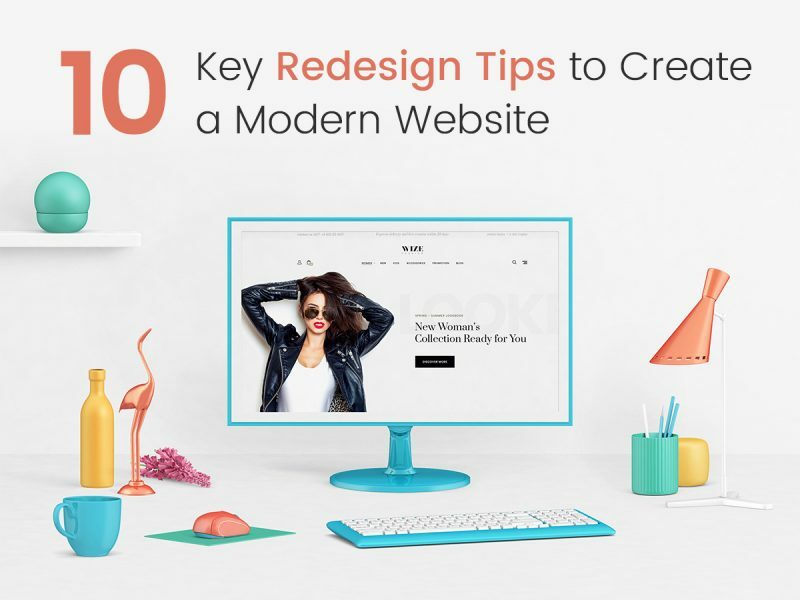 And this solution allows to activate a row of garlands with colorful lamps hanging from your website’s header. Just install and activate the plugin to make it work. Wish you merry upcoming Christmas and let all of your dreams come true.